Specializing in precision fuel consumption measurement systems used in powertrain testing for automotive and diesel industries. We bring peace-of-mind and reliable solutions to our partners. Designed to supply Diesel and Bio Diesel fuels with a flow rate up to 700kg/hr. Designed to create engine supply pressures of up to 500 bars. (For “On-The-Road-Testing") A portable system for vehicular application. This version is designed for Gasoline and Diesel engines with fuel recirculation back to the vehicle tank. Re-Sol will be attending again the Automotive Testing Expo North America 2017, at the Suburban Collection Showplace in Novi, Michigan from October 24-26, 2017. 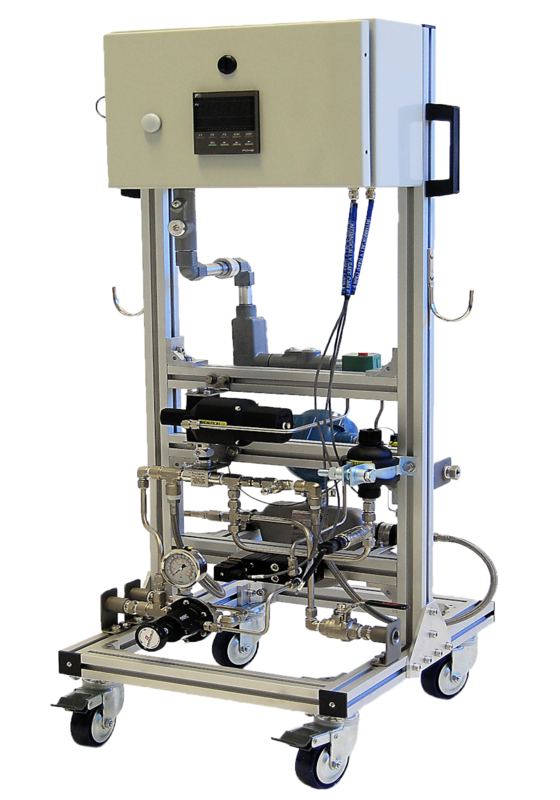 Check out our upgraded RS955 Automatic Calibration Cart or learn more about our new product releases: RS935-500 Mobile 500 bar GDI Pump System & RS57C Mobile Gasoline Ultra Low Flow Panel. The RS57C Gasoline Ultra Low Flow Panel was designed with customers in mind, who have to perform idle flow studies on returnless Gasoline engines in the range of 0.025 to 20kg/h. The concept is to use this panel as an add-on to existing flow measurement systems or fuel conditioning units. An ultralow mass flowmeter is installed on a stand, which is located very close to the engine. This meter is feeding the engine with minimized enclosed fluid volume. This reduces the negative effect of fuel expansion or extraction at low flow measurements, which in turn produces more reproducible flow data. An electronic pressure control with feedback assures a constant engine supply pressure and compensates for any pressure drop of the flow meter and other components. 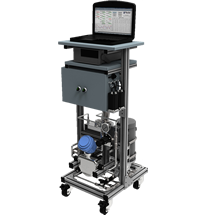 The flow meter can be bypassed with an air-operated valve to allow the testing at higher flow rates. A damping circuit eliminates the influence of pulsations from a following GDI pump. A variety of data communication interfaces are available. The mobility allows the use in different test cells. Please challenge us with your tough applications! 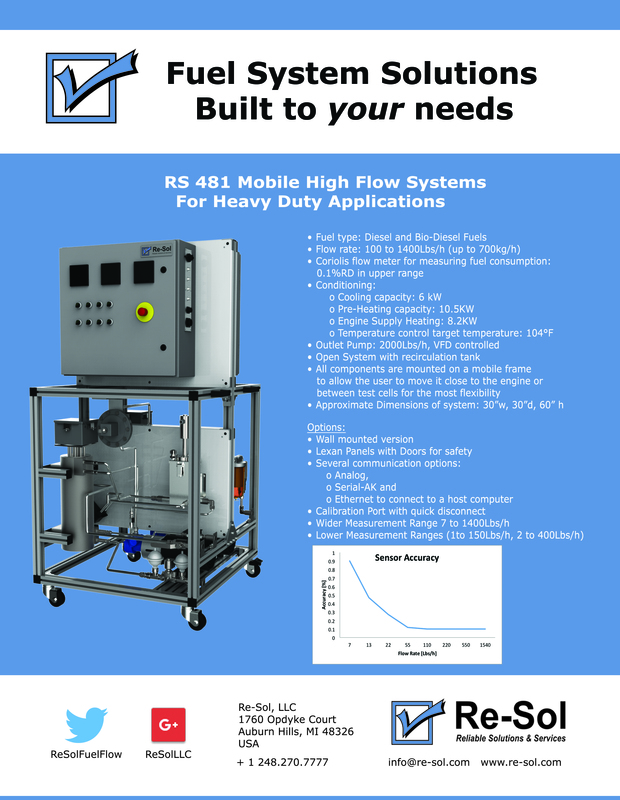 Mobile High Flow Systems (RS481 ) for Heavy Duty Applications is now available in Measurement Ranges from 1 to 1400Lbs/h. Therefore the High Flow System can supply Diesel and Biodiesel fuels to a flow rate up to 700kg/h. Two electrical heaters supply pre-heating and also engine supply heating. A Coriolis meter is measuring the fuel consumption. 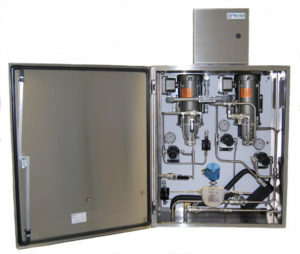 The system is optimized for best vapor separation. Contact Us Today! 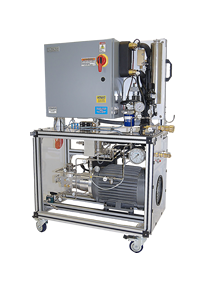 Re-Sol is proud to introduce its new line of mobile GDI (Gasoline-Direct-Injection) pump system. The RS935-500 GDI System is designed to create engine supply pressures of up to 500 bars. The typical application is in engine research but could also be used in any powertrain application. The pump speed can be varied via a variable speed drive. An optional encoder allows for synchronizing this speed with other processes, such as engine RPM. Re-Sol is known for the reliable solutions in fuel flow measurement systems for many applications specific to the customers need. For more information please Contact Us Today!